Fashion is never constant and keeps changing from time to time. Are you bored of the plain and extremely simple looking clothes? Do you want to add some glamour and experiment with the style? The clothes that you see on your favourite celebrity or on models are nothing but the result of some beautiful experiment. Embellishments are one of the most beautiful fashion statements and using it with a different type of apparel completely changes the look. 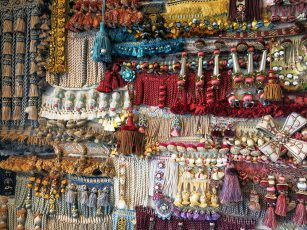 Use of patches, bullion, pleats, Passementerie, Tassels, fringes, studs etc. can completely change simple attire into designer one. The apparel industry has used many different ways to bring in fresh fashion and style continuously. The use of Bullion design New York is now trending and has seen global acceptance as stand out fashion statement. Unlike too much of glitz and gaudiness, they are simple and mostly represent something or other. The embroidered bullion is carefully designed by craftsmen and the exquisite designs are custom made with specific representation. The threads that are used for bullion design are unique and mostly found with fashion embellishment manufacturing houses. Adding little of such accessories is important to blend fresh fashion into a classic collection of clothes. 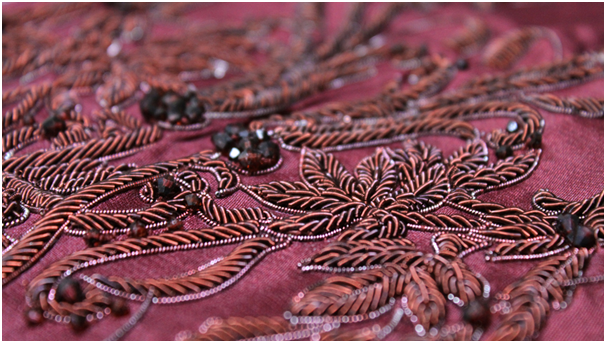 There are many manufacturing houses that specialise in manufacturing of embellishments but it is important to check the clientele experience. Military Bullion crest is something that is very specific and coveted which is why it should be purchased only from companies that have expertise in the same. Trim World NYC is one of the most renowned companies which specialised in the production of versatile fashion embellishments and successfully catered to the needs of multiple clients. The company is committed to providing high-quality products and has a list of a high number of satisfied clients. There are different types of fashion accessories and embellishments which can be used in versatile ways to produce a finished product. The nail heads can be used anywhere and fixed to clothe with a special type of glue that enhances the fashion edge and style. It includes spikes, pyramids, jewel studs, spikes and even buttons that can be placed on clothes suitable. The use of patches is trending fashion and the combination of the same can be used for creating unique clothing item. The patches include embroidered, fur infused, heat transfer patch, chain stitching, logo etc. that can be fixed to apparels to produce a cool and funky look. The intricate detailing of the embellishments strongly enhances the overall look of the clothes. It is not easy to add embellishments because it takes a lot of patience as well as time to create the perfect outfit using the accessories. Passementrie Design New York like French Knots, Three loop design, twisted cord, President Braid etc. are a simple yet classy way of fusing elegance and simplicity together. Fashion has changed over time and continues to change at very rapid speed which is why the use of right embellishments, embroidery, patterns and cuts is very important. Fashion Designers continue to use a fusion of different things to get the best and final outfit ready.